Yo-ho-ho, treasure hunters – if ye be lookin&apos; for adventure on the high seas, but yer chest be full of sand instead of gold, then we&apos;ve a deal to shiver yer timbers. Sea of Thieves is currently half price on PC and Xbox One. So far, it&apos;s not a deal that&apos;s being matched by other retailers, so if you&apos;ve the sea legs to stomach the Microsoft Store launcher on PC, it&apos;s as good a deal as you&apos;re likely to find without going down the second hand route. 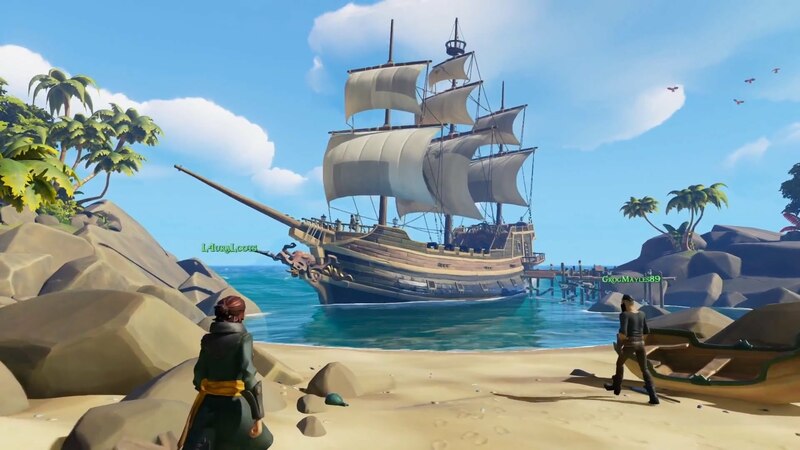 Sea of Thieves is already a fantastic multiplayer adventure, an MMO-lite where teamwork and creativity (and the knowledge of the difference between &apos;port&apos; and &apos;starboard&apos;) is more important than an XP grind. The Arena will focus on ship-to-ship combat, a quick-fire race for treasure that is a standalone section of the game. Adventure Mode on the other hand introduces nine fully-voiced chapters, and will include the sort of treasure hunting that&apos;d make the Goonies blush. It&apos;s expected to last about a dozen hours. And that&apos;s before smaller additions, such as harpoon guns, fishing activities and more refined ship destruction is added into the mix. Put simply, there&apos;s never been a better time to set sail with Sea of Thieves.